I’ll go on record as saying that the Umarex Fusion - and its very close cousin the Xisico XS60C - is a very innovative CO2 air rifle with some excellent high-level design concepts. I like it! 1. The guns can leak unacceptably. Leave it gassed-up and 24 hours later it’s probably empty. This is in stark contrast to QB78-type air rifles which can remain gassed up for weeks - and even months - at a time. 2. The tube cap is very complex. It’s confusing to operate and you may need to wait as long as an hour after releasing the CO2 from the gun before it’s possible to remove the tube cap. Again, this problem does not exist with QB78-type air rifles. 3. The tube cap O ring is very soft. It swells like a balloon when the gun is gassed-up and is quickly damaged by blistering and cracking when the tube cap is removed - this leads to further leaking. These O rings can have a very short life before they require replacement. The QB78? Guess what? No problem. Again, I want to say that I think the degassing tube cap fitted to the Umarex Fusion and Xisico XS60C is an outstanding and innovative concept. But somehow it’s just not up to the task at hand. 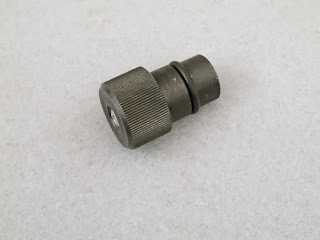 My testing shows that the tube cap is THE major source of gas leaks from the Fusion and XS60C, and then there’s the issues about the O ring which is the cause of difficulty in removing the tube cap itself. Archer Airguns introduces a Replacement Tube Cap for the XS60C and Umarex Fusion Air Rifles! The Archer Airguns Replacement Tube Cap overcomes the leak issues, allowing these guns to remain gassed up for an extended period. It’s very simple to use. Just screw it on and unscrew after use. There’s no need to wait after the CO2 is used before removing this tube cap. It uses a different, harder, O ring that swells much less, doesn’t blister and crack with use. Yes, it still swells in use, so we supply a spare O ring with this tube cap. Simply roll off the swelled O ring, roll on the new one, gas up your Fusion or XS60C and keep shooting! The swelled O ring will return to size and can be used again by the time you need to reload with Powerlets. The only downside is that there’s no degassing capability with this tube cap (although some would say that’s another benefit!). Again the solution is very simple, just “shoot down” the remaining CO2 in the gun in the time-honored fashion, as has been done with generations of Crosman 160s, QB78s and similar CO2-powered air rifles. If you still want to keep with the factory tube cap, you’ll be needing replacement O rings! 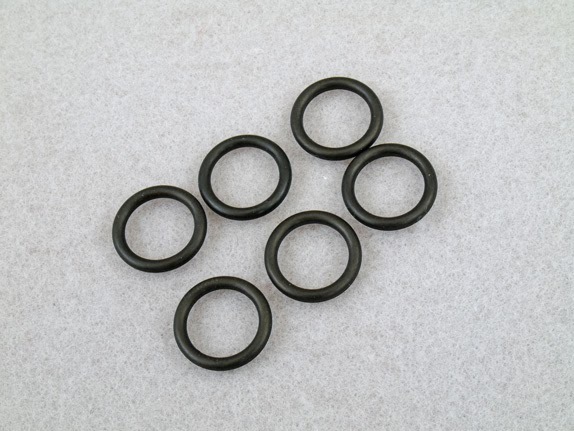 So, Archer Airguns offers a pack of O rings for the Umarex Fusion and XS60C Air Rifles. These are for use on the degassing tube cap as replacements for the orange O ring supplied with the gun. These black O rings are the same as used with our replacement Tube Cap, they swell less and resist blistering and cracking much better than the factory O rings. You may be asking “Why not fit O rings that don’t swell at all?” The reason is that these O rings - typically hard urethane ones - will not allow any current tube cap design to be fitted into the gas tube of the Umarex Fusion or XS60C air rifles. This is due to the design of the main gas tube itself, which will not allow hard O rings to be pushed into the end of the tube - that’s why the factory supplies those problematic soft O rings in the first place!